Thika Town Today, Telling the Thika Story as it is. Bodies of two middle-aged men found floating in dam. Thika residents attack and flush out conmen guised as roadside mobile phone and SIM card agents. Property worth sh. 10 million demolished in Githurai 45. This Is How Supermarkets In Thika Are Deceptively Minting Millions From You! 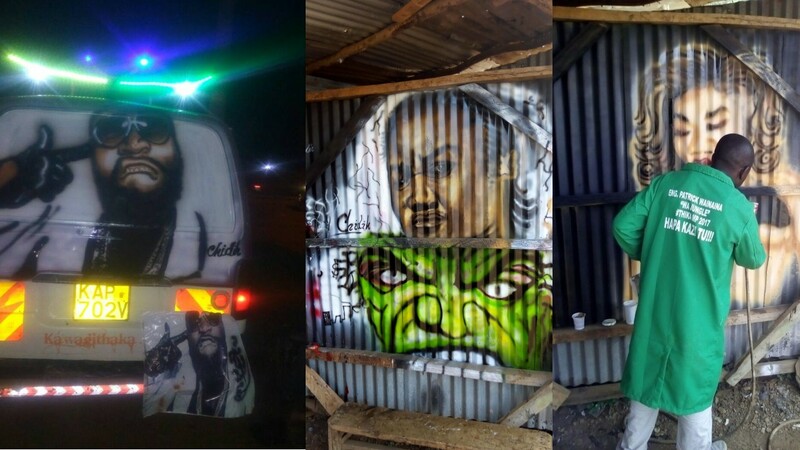 Home BUSINESS EXCLUSIVE FEATURES Chidih, Thika’s self-made artist who does matatu décor and branding. Chidih, Thika’s self-made artist who does matatu décor and branding. The Kenyan PSV transport industry is abuzz with creative symbolism with matatus donned in multi colours and pictures symbolising entertaining messages, political graffiti or popular music artist and football teams such as Arsenal and Manchester United. Public art or pimping and souping up as it is popularly known has been the order of the day for the purposes of getting an edge over each other in business. The Kenyan commuter is obviously attracted to well customised matatus as opposed to plain ones. The more glitzy and effervescent the matatu, the more prominent it becomes to attract passengers. Vitalis Ochieng’ aka Chidih Amigo (or Chidii), is one man who is now cutting a niche in the matatu art industry in Thika Town. Born some 39 years ago in Starehe Estate Thika, Chidii grew up in a humble family background. 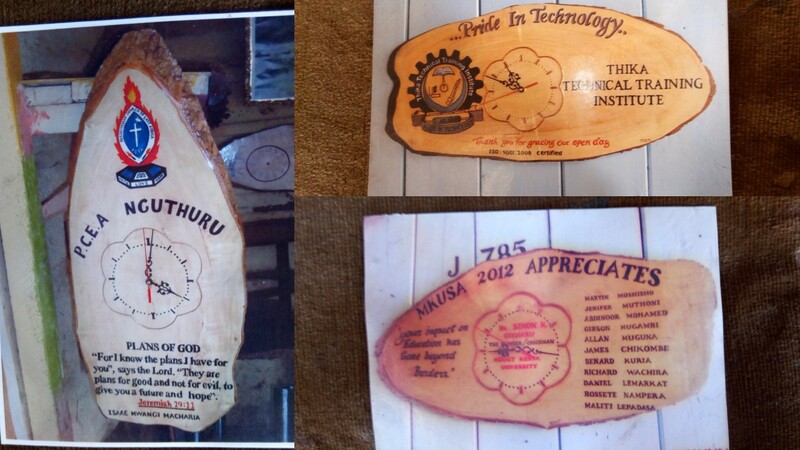 His love for art developed so early in his primary school days at Jamuhuri Primary where used to find himself on the ‘wrong side of the law’ after being caught by his teachers drawing sketches of artwork on his classwork books. “I cannot even count the number of times that I was punished by my teachers for drawing sketches on my exercise books. But that did not put me off from my love for art,” said Chidih. Immediately after school and through the assistance of some of his networks, Chidih secured some employment at a Thika-based leather company to design some arts on curios where he worked for about 8 months. He later quit and joined his uncle in Gikomba Market, Nairobi where they sold fish. He later started selling caps and shoes in the same market before returning back to Thika to work for Njuca Consolidated Ltd and later for Tanya Limited as a curio artist. He later started his own curio shop where he traded his wares at several tourist sites. “Business was good and well paying. I used to sell a lot of curios in Mombasa until the advent of the post-elections violence in 2007-8 and later when Kenya was struck by too many terrorist attacks. There was a decline in tourists’ arrivals and business worsened,” says the father of three. Chidih reckons that he struggled to make ends meet for quite some time, considering that he had a young family to feed at the time. “I was watching the television one day out of boredom at home when I saw some European design and sell artist furniture, something that triggered my mind,” he explained. With the little cash he had, he bought some tools and started designing some household and office furniture, without any background skills or knowledge in carpentry. Within a short time, his works got so popular and he made good sales through referrals and Social Media advertisement. All through, the self-made artist had this burning sensation to follow his dream job, his passion to do motor vehicle décor and graffiti. After a lot of soul searching and mind boggling, Chidih decided to venture in the new field. “The furniture business has been saturated and demand is getting low by the day despite the high prices we incur in buying materials to decorate these furniture. This has driven me to thinking of doing something to supplement my sales in furniture which currently am doing on demand basis,” he explains. 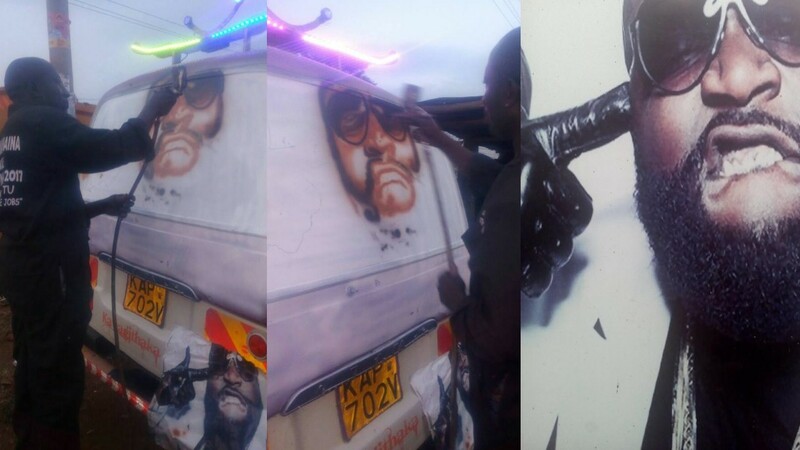 Early this year, Chidii opted to venture in the matatu décor and branding, which has all along been his dream career. “I started making the urban art known as graffiti – painted pictures and words on my workshop walls and at times requested to do the same on people’s businesses for free or for a little fee, just to advertise my work,” he says. He later approached some matatu owners and private car owners in the locality and offered his services. 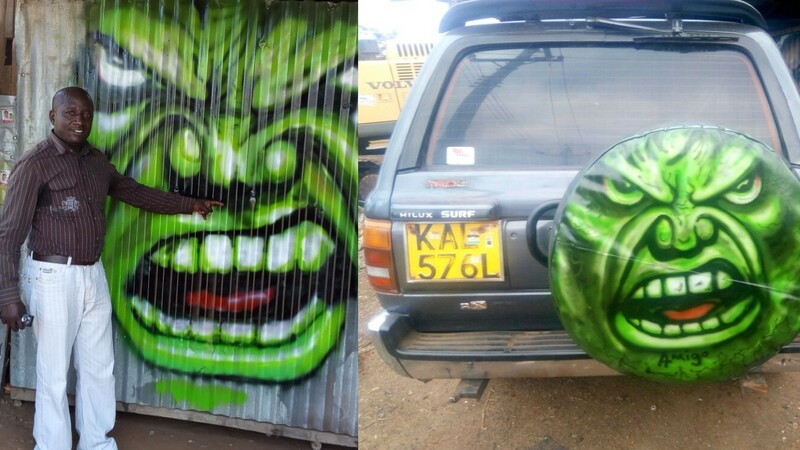 “At first, they were skeptical and thought that I was attempting to practice graffiti art on their vehicle but whenever I was done with a vehicle they would be amazed by the quality of my work,” he brags. He says that he now gets most of his clients through referrals. “When someone sees my work they usually ask to find out who did it and that’s how I am growing my client base,” he adds. According to Chidii, a client either comes with their own design and colours which he works with or advises on how to improve their design. But in most cases, they come without any idea on what they want and Chidih advises and comes up with a design for them which once they approve they go ahead with it. “There is no specific design which people request. Everyone has their own ideas,” he explains. Chidih reckons that his is pure talent and every day, he itches to further explore and work on ideas that he has been building up on. He spends most of his day working on different designs and put them in his computer. “I started this in primary school. I used to sketch different vehicles and this really sharpened my skills. I design my themes come from my personal experiences, trending topics, movies, musicians and whatever else the clients want,” he says. Chidih agrees that the industry pays well and he gets his satisfaction from seeing a matatu or a vehicle he worked on being the talk of the town adding that whatever appeals to the youth is good for business. 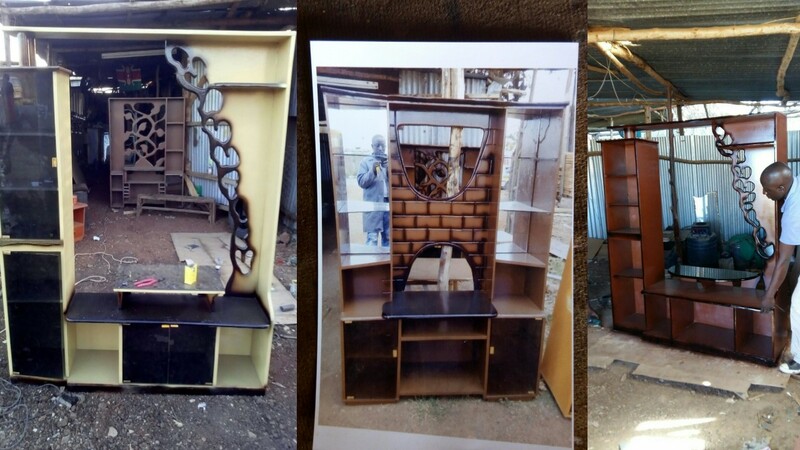 Chidih says that his greatest challenge is getting enough clients especially now that he is relatively new in the business and the art of matatu décor in Thika has not really grown to those levels as in the case of Nairobi. He also admits that he needs some capital to expand and improve on his work as he juggles with that of carpentry as per demand. He plans to expand his business to a bigger and a more secure location where he can accommodate and work on more vehicles at any given time. He also plans that in future he can create employment to a number of youth who will train and after training contract them to assist him in his workshop. To the youth out there who whine and cry that there are no jobs, Chidih advises them to think outside the box. He also challenges the leadership to be more conscious on youth empowerment by facilitating those with skills to actualise their dreams and also develop policies that are business start-ups’ friendly. UNBELIEVABLE: This Is What Happened To The Suspects Who Killed A KDF Soldier! Police gun down two of Nairobi’s most wanted criminals in Witeithie. Why Murang’a Women Rep. Sabina Chege wept uncontrollably in public. Son-In-Law Among Seven Suspects Arraigned In A Thika Court Over Mrs. Githitu’s Murder. Thika In Shock Over Slain Businesslady, Just A Few Years After Her Husband’s Murder. A Casual labourer’s mixed bag of quadru-blessing! Kabogo’s final message to the people of Kiambu. RAILA'S FULL SPEECH ON THE "BIG ANNOUNCEMENT". Thika residents ignore Raila’s “Public Holiday”. THIKA TOWN CONSTITUENCY: Who will it be? Thika Town Today © 2016. All Rights Reserved.